3-1/2-inch Kitchen Sink Drain - Make you good mood in the kitchen Cook daily, you will know the importance of kitchen sink drainers.If the sink is blocked by debris, leaking too slow or difficult to clean up debris, it will affect your mood.This is very troublesome, bad mood affect your cooking skills, even strike. 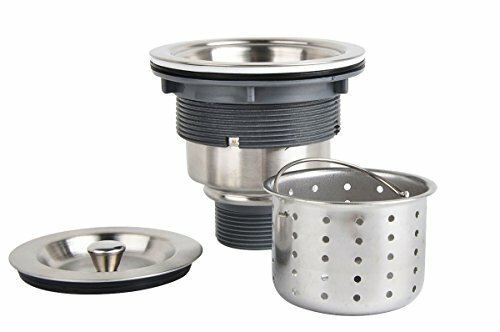 KONE Kitchen Sink Drain Strainer is a GOOD CHOICE. Easy to install and convenient Package Includes Sink drain, Basket Strainer, Cover Stopper. If you have any questions about this product by K.ONE, contact us by completing and submitting the form below. If you are looking for a specif part number, please include it with your message.